Calm down (Short video) - Learning English is AS EASY AS PIE with Phrases, Idioms, Expressions. The phrase of the day is: "Calm down"
If you calm down, or if someone calms you down, you become less angry, upset, or excited. 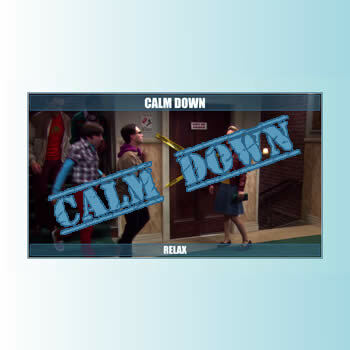 If things calm down, the amount of activity, trouble is reduced.